Thread: What have you done to your truck today? Never tried their truck tires but I think cooper is a good brand. Had them on our Volvo and it was a good mileage low noise. To me, looks like a solid choice for your intended use. 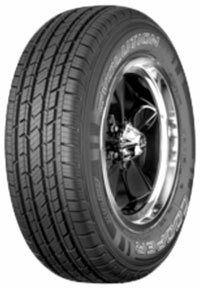 Any of you guys try Cooper EVOLUTION H/T tires? Looking for a quite tire as I do lots of highway driving in the summer months.